A permanent return to frontier controls in Europe would cost countries in the Schengen open-borders area about 110 billion euros ($120 billion) over the next decade, the French government’s official think-tank said on Wednesday. The Schengen agreement is a centrepiece of European integration. But, under pressure from voters alarmed by an unprecedented influx of migrants from Africa and the Middle East, several governments have already temporarily reintroduced controls at their borders with fellow European Union states. A study by France Strategie, a think-tank directly attached to the prime minister’s office, said the drop in cross-border tourism and trade brought on by a permanent end of the free-travel area would cost Europe 0.8 percent of economic output over 10 years. For France alone, the cost would be 1 billion to 2 billion euros in the short term and 10 billion euros over 10 years, equivalent to 0.5 percent of gross domestic product (GDP), the authors said. 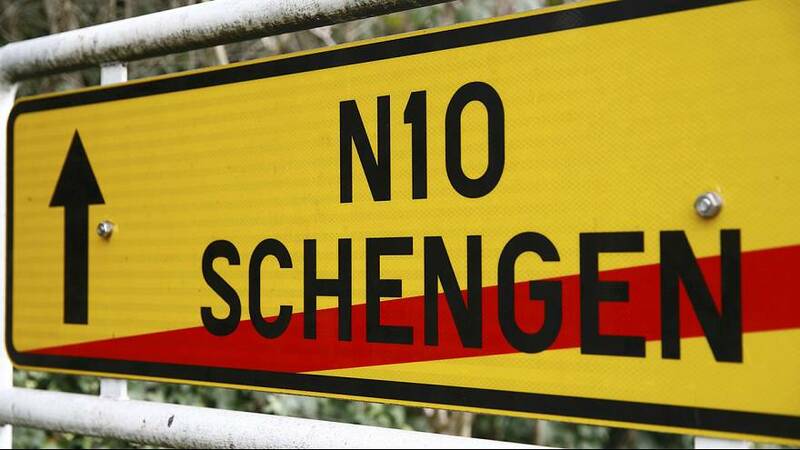 “Over the long term, the generalisation of permanent border controls would be equivalent to a 3 percent tax on trade between countries in the Schengen area, which would lead to a structural decline in trade of 10 to 20 percent,” they wrote. Half of the cost would be due to a drop in tourist visits, 38 percent because of the impact on cross-border workers and 12 percent to the additional cost on freight transport, they said.